There are drivers out there who religiously rely on their Bluetooth headset for phone calls while operating a vehicle – which some states allow. Then there are those temptations of actually picking it up and attempting to read an important text message that comes in. 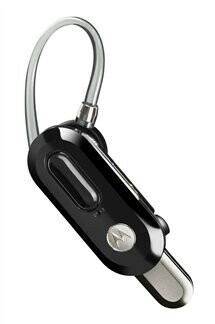 Luckily the Motorola H17txt Bluetooth headset can come in handy for situations like that and offers drivers the flexibility of still being connected to their mobile phone on and off the road. The notion of using a phone while operating a vehicle is looked down upon, but with MotoSpeak technology on the H17txt headset, it is designed to optimize the text-to-speech experience so that it'll read messages into the headset in real time. 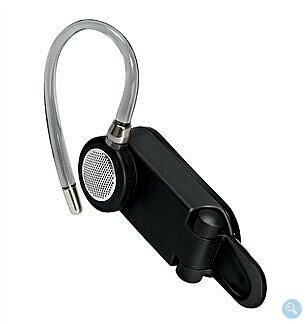 The headset is actually paired with an application that enables to feature to be utilized – from the looks of it, there is an Android app available. In addition, the headset will offer incoming text message sender ID that will inform you who is sending the text message and auto-response so that an automated text message will be sent to callers informing them that you are driving. Although the problem of distracted driving continues, Motorola is looking to alleviate some of those distractions – but some could argue that it could still lead to potential accidents seeing that the full attention isn't placed on driving. Verizon Wireless is will be offering the Motorola H17txt starting today for those who can't wait.